Toffee Apples are an old style boiled sweet that tastes like a toffee apple. 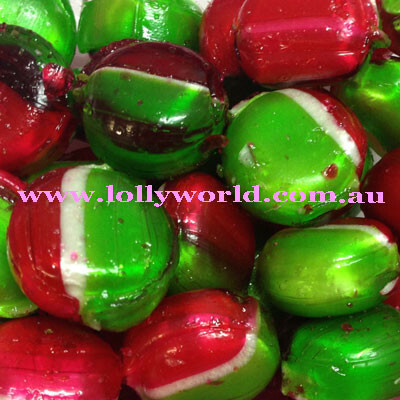 This boiled lolly has a pretty colouring of red, white and green. These are perfect for Christmas jars for gifts or table decorations.